This book will keep your attention, at least it kept mine and I couldn’t put it down. 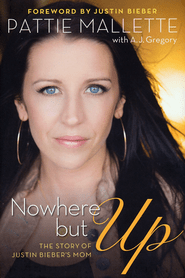 Pattie is very elegant in her speaking and this book is extremely well written and tasteful as she talks about the things that happened to her growing up, her mistakes, and how she felt alone, unwanted, unloved. You feel like she is sharing with you personally, like your the only person in the room. The book is about her personal life, her tragedies in her life, the mistakes, and how she had help from her faith in God to help her overcome those things in her life that Satan has tried to use to destroy her. She shows forgiveness to those who have wronged her, and you can tell from the way she talks, she is not out to get anyone. You can feel her passion and her honest heart as she speaks to you. If you need hope, or know someone who does, because of your past mistakes, abuse, drugs, ext. then give this book a chance. It is filled with hope and faith building. This book was given to me for free from the publisher Baker / Revell for an honest review.